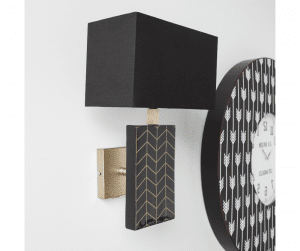 This stunning ceramic wall sconce features a gorgeous chevron pattern, painted in gold on a black background, accented by a dark grey shade, creating an elegant visual contrast. 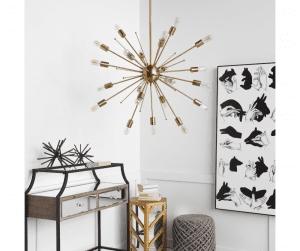 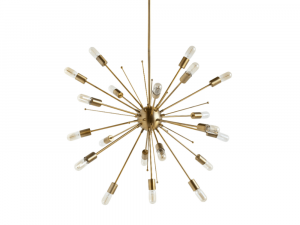 Inspired by turn of the century design, in an aged gold finish, this stunning chandelier offers ample light with it’s many Edison style bulbs. 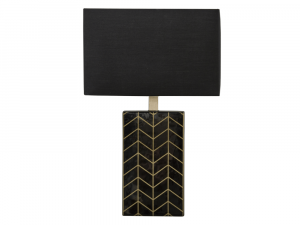 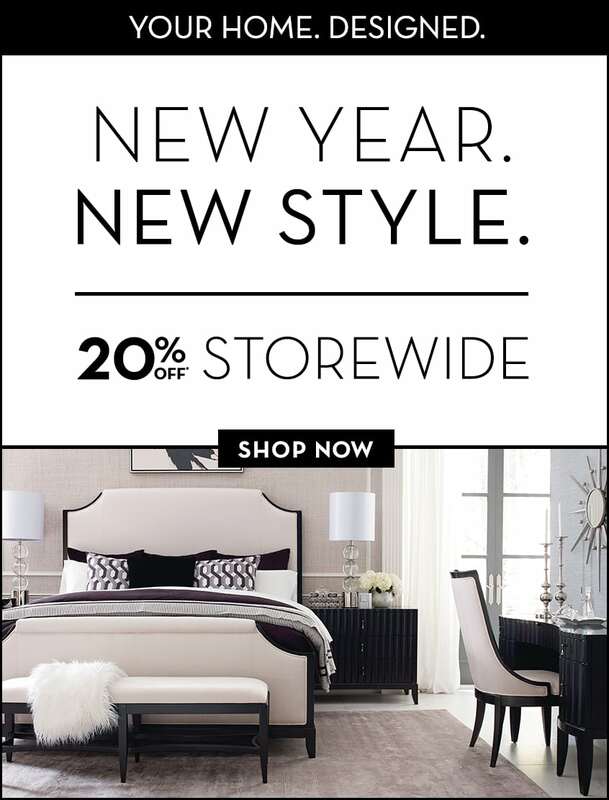 Embellish any modern living space with the rugged yet elegant Branzino Table Lamp. 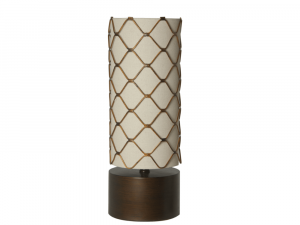 Featuring an intricately woven lamp shade, complimented by a metal base and wire shade cover in an antique bronze finish, this cylindrical Table lamp renders itself an eye catching masterpiece. 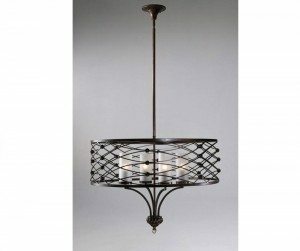 Iron and Frosted Glass. Utilizes (4) 60 Watt Candelabra Base Bulbs. 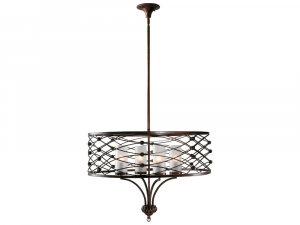 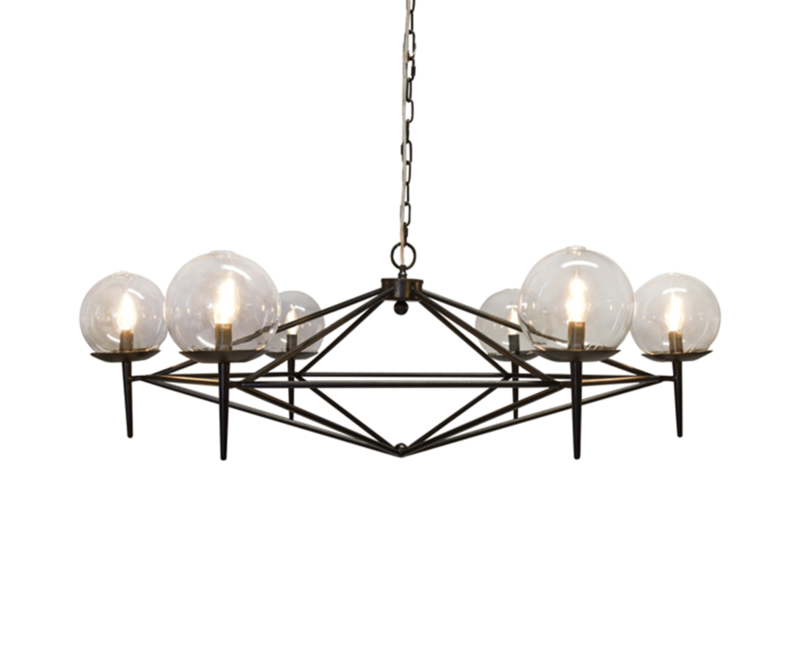 This Ceiling Lamp is straightforward yet exquisite. 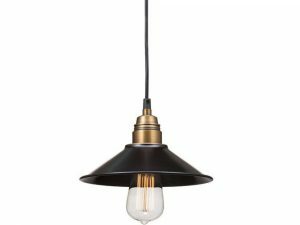 Made of antique black gold and brass with, and perfectly illuminated with a 40 watt bulb, this lamp brandishes an industrial revolution feel.